Time is running out to save Music Row, and the National Trust for Historic Preservation and Historic Nashville, Inc. are calling on city leaders to take immediate action before this unique cultural industry district is lost forever. In the past few years we have heard repeated statements about the importance of “balance” between preservation and growth on Music Row. During these years, however, we have seen 43 music-related buildings demolished due to Metro’s planning and zoning policies and lack of preservation tools. In that time, only one historically important building has been saved from demolition – by a private individual. 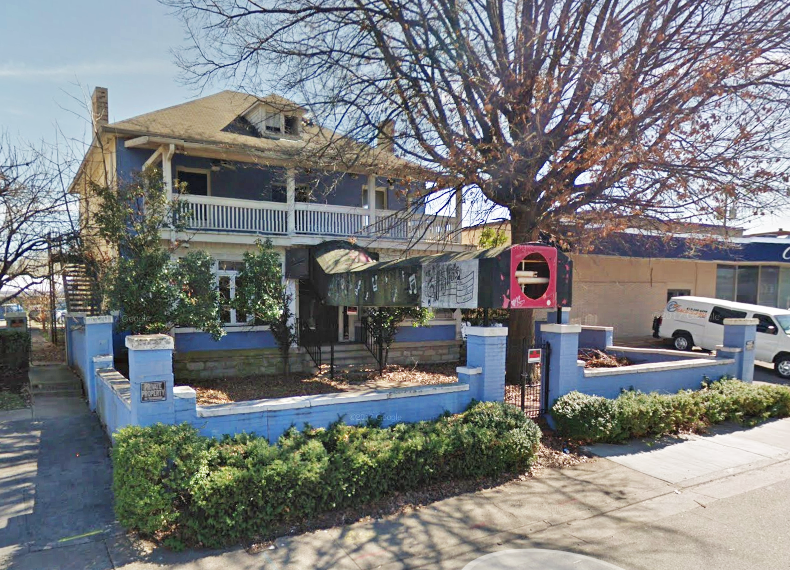 Plans are now underway by a developer to purchase and demolish five buildings with long-time music business uses, including the last remaining tavern located in the heart of Music Row, to make way for a large, characterless office building. This is not balance. 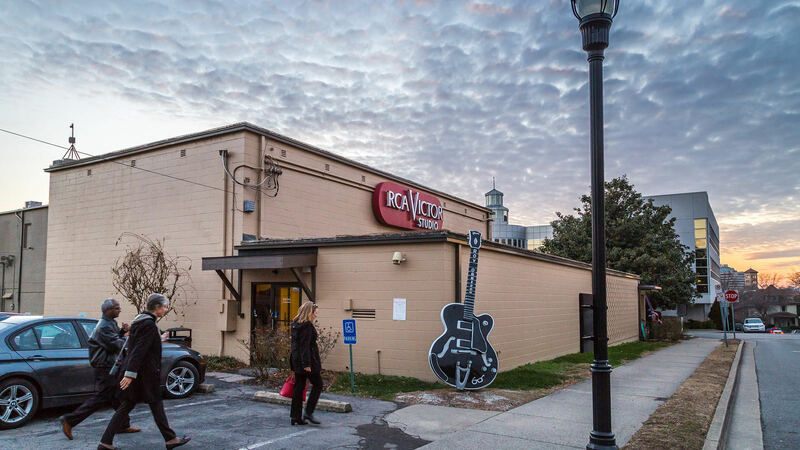 Four years ago, Historic Nashville, Inc. and the National Trust for Historic Preservation were alerted to the impending demolition of RCA Studio A. 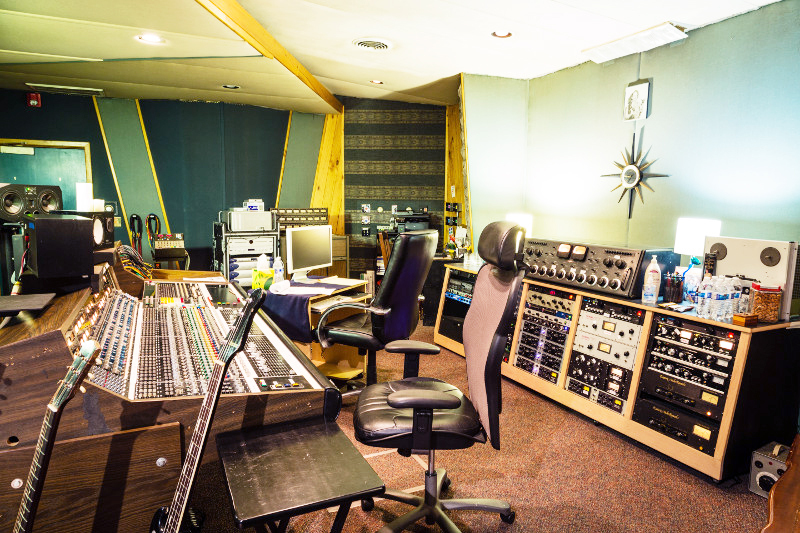 Historic Nashville Inc. placed the studio on its 2014 “Nashville Nine” most endangered list. Luckily that tragedy was averted. Today, RCA Studio A stands as a shining example of the importance of place. Award-winning producer Dave Cobb runs the studio, producing Grammy-winning records with artists like Chris Stapleton, and the building’s offices are filled with music businesses who located here because they want to be in this historic space. Other significant places on Music Row have not been so lucky. Recognizing the continued loss of Music Row’s character and built environment, Historic Nashville, Inc. placed all of Music Row on its “Nashville Nine” list in 2015 and again in 2016. 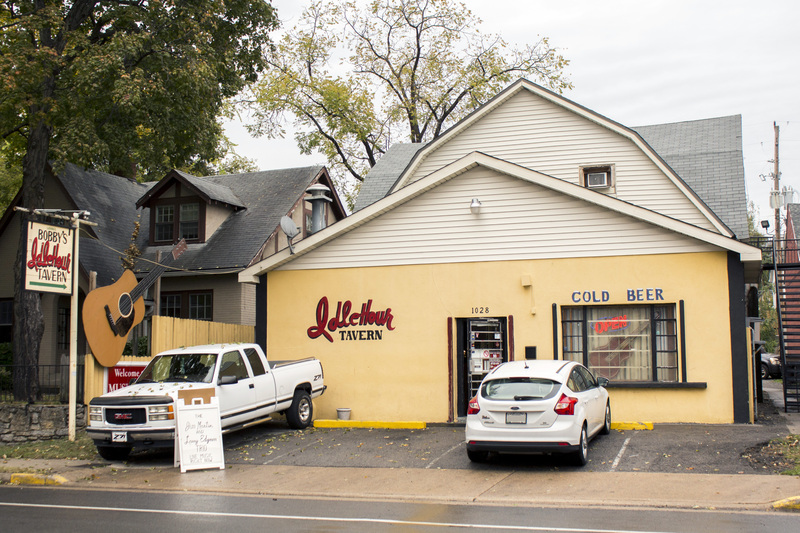 An entire block of 19th Avenue can no longer be considered part of Music Row. Demolition resulted in the loss of four recording studios (Studio 19, Studio 20, Spirit Music, singer Butch Walker’s studio) and other music businesses. The block is now filled with apartment buildings. Sound Shop on Division Street – where Paul McCartney and Wings recorded “Sally G” and “Junior’s Farm” – was demolished for an apartment building. Although the apartments are named Crescent Music Row, this area is no longer part of Music Row. 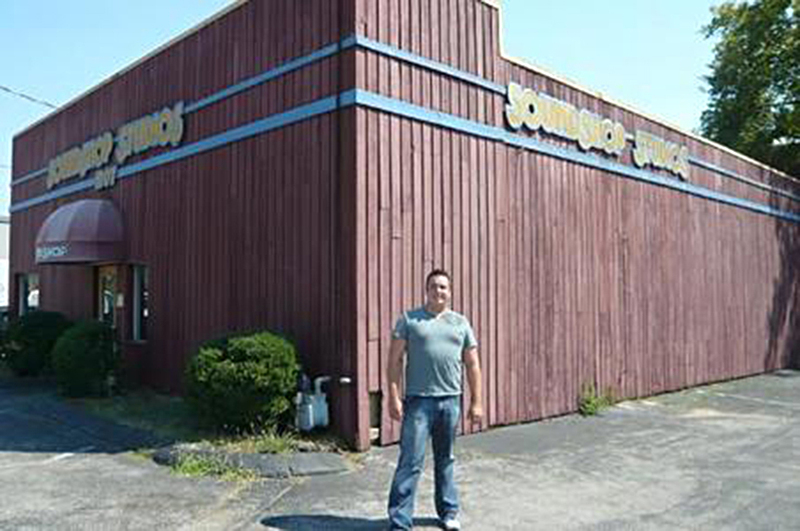 Kelso Herston Enterprises on 16th Avenue – The location of the old home that was the office of this legendary producer – 1 producer of commercial jingles for 30 years as well as an endless list of music production – is now a parking lot. Five buildings on Music Square West – including the one-time offices of Sure Fire Music Publishing, Vibe 56 Recording Studio, and the offices of the renowned gospel music Speer family – were demolished for a six-story apartment building. 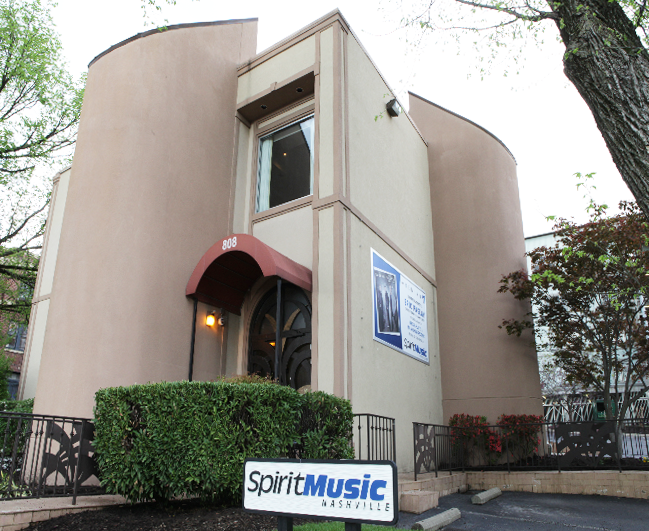 Spirit Music 808 19th Ave.
Recognizing that Music Row is unique in the world in its history, built environment and culture – and that it was under immediate threat – in January 2015 the National Trust designated Music Row as a National Treasure. 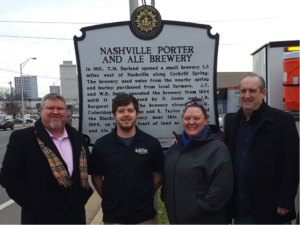 Since that time, Historic Nashville Inc. and the National Trust have worked closely with local partners including Music Row stakeholders, the Metro Planning Department and Metro Historical Commission to document Music Row’s history and current condition and to develop plans to ensure Music Row’s future. Designate the Music Row Cultural Industry District – This would be the first such designation in Nashville and in the state of Tennessee. This designation will emphasize city leaders’ recognition of Music Row’s importance to Nashville’s economy and worldwide reputation as Music City and the city’s continuing commitment to work with partners to support this creative place. End Specific Plan Exemptions. We request the Metro Planning Commission and Metro Council stop approving Specific Plan exemptions for the Music Row geographic area. By consistently approving larger and taller buildings than allowed by current zoning, Metro is unwittingly encouraging demolitions. Unique music-related businesses are being replaced by generic residential apartment buildings. Develop Incentives to Support Music Row’s Music Industry. Although large companies are routinely awarded incentives to locate or operate in Nashville, no such benefits exist for the small music businesses. 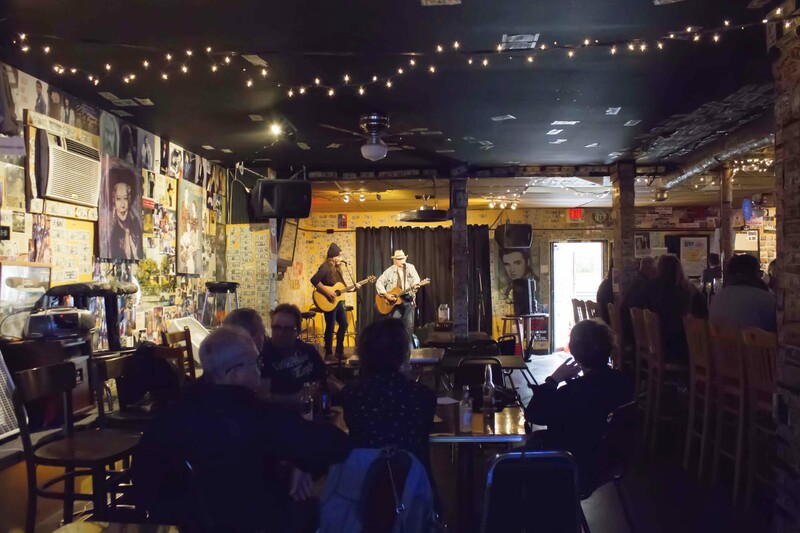 We urge development of new incentives, including much-needed preservation tools, to help keep music businesses on Music Row and preserve the area’s historically important buildings. The good news is research confirmed Music Row still exists as a tight-knit community with more than 200 music-related businesses. 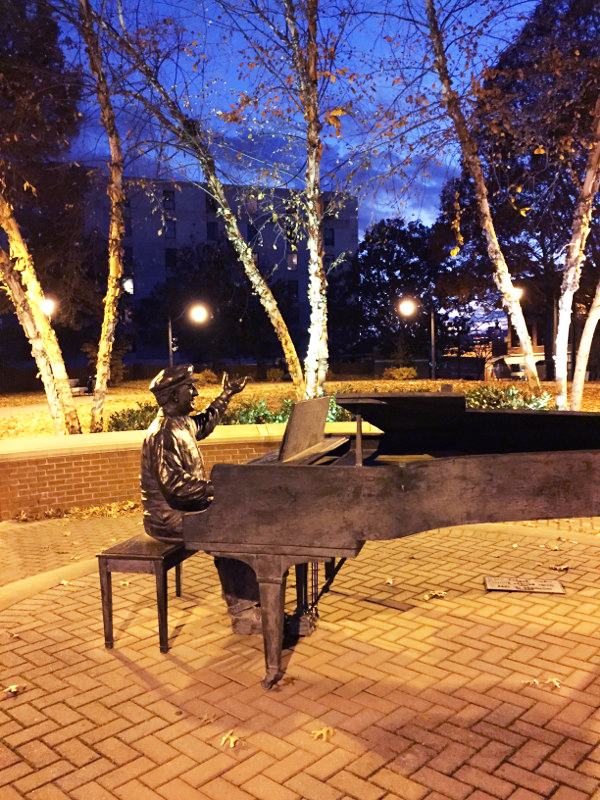 We have heard from a multitude of stakeholders that Music Row’s built environment – its neighborhood campus filled with an eclectic mix of historic and newer buildings – is crucial to its culture and the success of the music industry located there. There is still time to save Music Row…but the clock is ticking. (Note: The Oak Ridge Boys just released a new album – 17th Avenue Revival – recorded at RCA Studio A. Duane talks about that experience in this article. I believe Music Row is still important because of what I just experienced. The Oak Ridge Boys asked David Cobb to produce our latest album, and his vision for us was to re-visit that period of time when we were little boys, and first turned on to rock and roll music. Of course, that would mean Elvis, Ray Charles, and Jerry Lee Lewis. The thing all of those men had in common was that they all grew up in church, singing gospel music. You could hear it in the passion of their lyrics, and, their music sounded like tent revival music. Then, we asked, “What turned these men on?” It was black gospel. With that thought pattern and vision, we moved into the old RCA Studio A, on the old 17th Avenue South, right in the center of Music City USA. We found another depth of our musical soul. The vibes of that historic studio, with the Oaks all gathered around an old RCA 44 microphone, singing together, brought back a magic that is sometimes lost with some of the new technology. The old historic studios just scream out to an artist to do it real, from your heart. There will always be a place for those historic places found on Music Row. There is a reason they are great. They were built to capture the magic of the artist’s performance, as opposed to making it happen with technology. Recording the old-fashioned way can happen anywhere, just as recording with all of the bells and whistles of modern technology. However, there is an appreciation that goes with recording in a historic place, like the old RCA Studio A on Music Row, that encourages excellence, because so much excellence has preceded. Songbird Tours stops in at Bobby’s Idle Hour every day and the tourists are blown away that a real honky tonk still exists. There are old guys, in their 70s…STILL playing in the everyday…middle of the afternoon. Old cats that missed their chance. There are still record release parties there and after all these years Belmont (University) kids have finally discovered that it’s cool to play Bobby’s Idle Hour. The place packs with students trying out their songs in a safe place where critics are discouraged. The last bar I know of where you can walk in at 2p.m. and there will be a circle of old guys playing on a barstool or in the middle of the room…not even onstage. There’s still an old writer that lives in a Cadillac in the parking lot of Idle Hour. Shel Silverstein (poet/songwriters) swapped wits with (Kris) Kristofferson in the Idle Hour…with Hank Cochran, Bobby Bare. There are Rhodes Scholars in that group of writers & world-renowned author/poets. Much more than a building is lost when this icon falls. I realize that this is a staged replica of the original that stood 5 lots down because some developer already tore it down once 15+ years ago….but everything in it that could be was salvaged and repositioned was. The memory, history and spirit were moved 5 lots that’s why it’s more popular than ever. The destruction of historic structures is an unforgivable form of disrespect for our own history and culture. Historic architecture is a place to interact with our heritage. It gives the gift of experiencing and sharing the actual spaces where the musical soul of this city was crafted by some of the most legendary characters in American history. Music Row is a national treasure that has earned preservation of its tangible identity. If we allow million- dollar values to overshadow Music Row’s million- dollar spirit, there will be nothing left worth blessing on 16th Avenue. Like that legendary road, regret is a one-way street. Once we destroy our heritage, there is no restoration. I had a PR office on 17th for a number of years. Back in the ’90s, Music Row was a friendly community that celebrated Nashville’s heritage with historic homes and quaint studios. It was one-of-a-kind… where creativity came to life and dreams came true. Today, due to a lack of government leadership, Music Row has become a corporate mix of offices and condos… losing much of its charm. So many of us are heartsick, hoping we can stop or slow down the destruction of historic buildings before it’s too late. Not only was music that had a worldwide impact on culture created in the buildings on Music Row, it is still being pulled from the minds, pens, voices, instruments and equipment of so many who continue to create within those walls. As a thirty-plus year Nashville resident, I’m happy that I was here when they all still stood and I hope as many as possible will be preserved. I moved to Nashville 20 years ago, a reluctant transfer from a job I enjoyed in New York. My office had been on Times Square, as exhilarating a location as any office in the world. By comparison, Music Row seemed like Mayberry to me — modest in scale, sleepy. Today, I’m still a big city enthusiast, to the extent that I actually enjoy watching Nashville grow. But I’ve come to understand that our character depends on balancing growth with history. Sacrifice one or the other and you have surrendered some of your soul. It is horrifying to know that developers came close to demolishing the Ryman to build something — doesn’t matter what it would have been — that could in no way compensate for loss of the Mother Church. So it is with Music Row, whose history is obscured further with each new edifice that might as easily been built somewhere else. I wasn’t here to witness the Row’s glory days. Which is why grows more important each year, with each new tower soaring downtown, in Green Hills and elsewhere, that the Row be honored and kept alive. When I first arrived in Nashville in 1980 , Music Row was just simply Music Row. Warner Brothers was in a quaint little house on Grand. Ray Stevens was across the street and Electra was next door. Those shops and the many others on Music Row were where it began. Music Row’s legacy should be saved….. not become an area where people view as once upon a time. Music Row is the birthplace, nursery, and home to the Nashville Sound. It is where the industry was born here, and where it has found a continuing home. The wanton destruction of seminal structures that housed some of the most significant moments in our musical past from the last forty years is tearing the heart out of our body of music. We must resist this move to destroy, and instead save our heritage. Music Row is the beating heart of our music industry and its legendary legacy. It embodies an authentic and character-defining music history that has not only branded Nashville and Tennessee nationally and internationally but has created a vibrant living museum that for generations has been, and continues to be, an engine of economic development and tourism for the city and state. Music Row is a dynamic cultural resource that is the brand of Nashville and Tennessee and with its scope and size is even more important than the Ryman Auditorium. It is now threatened by rampant development and lack of foresight just as the Ryman was once was threatened, and its survival, protection, and preservation for our economy and the very soul of our city is now required. Preservation efforts are succeeding across the state- in the East Tennessee/Knoxville area with Knox Heritage and its historic downtown; and West Tennessee with Memphis Heritage and its many historic tax credit projects; and in Chattanooga with Cornerstones, Inc. and its preservation efforts. As Tennessee’s state capitol, Nashville, at the very least, deserves similar efforts for our historic Music Row- the soul of our legendary music industry. 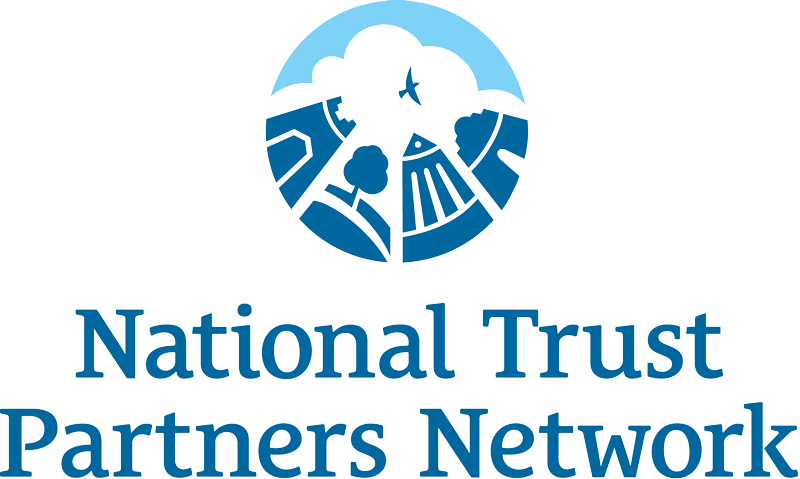 Tennessee is lagging behind most other southern states (Alabama, Mississippi, Louisiana, Arkansas, and others) now offering state tax credit programs which save historic properties and districts, and develop a dynamic heritage tourism that supports local economic growth and pays for itself many times over. Nashville is at the crossroads just as it once was with the Ryman. It is time to save and protect this irreplaceable economic treasure and the soul of our city and character defining music industry before it is forever lost to rampant development and sprawl. Music Row remains the thriving, beating heart of the very music that makes us Music City. Take it away or even dismiss its importance and you’ve ripped out the very heart of Nashville. 1900-1902 Adelicia c. 1905 1996 Redeveloped/Realtors Assoc.